​The Bereavement Team helps families at the time when a loved one has passed away. This involves being present with the family when they are planning the funeral and at the funeral. For further information, contact the Parish Office. ​The Care and Concern group gives help in areas such as transport, emergencies, home help, visiting the aged and sick, prison driving, child minding, emergency cooking, catering and handyman help. The group is ecumenical, united with St. David’s Anglican Church Chelmer, and the Graceville Uniting Church. Meetings dates are in the parish calendar and are advertised in the parish newsletter. New members are welcome. If you are able to give assistance in this ministry, contact Patra (3379 8653) or the Parish Office. This national charitable organisation has 15,000 members, with a National Secretariat in Canberra which influences bishops, parliamentarians and government executives. It is affiliated with the World Union of Catholic Women’s Organisations. It reviews the objectives of the league every two years to promote the role of Australian women. Members of the Corinda Graceville CWL Branch are active in most areas of the parish, working for “...the honour and glory of God”. Meetings are usually held the first Tuesday of each month at 9.30am in the Parish Centre at Graceville. Other social activities that they conduct include Cent Auctions, Social Outings, and a Melbourne Cup Day luncheon. All meetings and social activity dates are listed in the parish calendar and are advertised in the parish newsletter. New members are welcome. For further information, contact the Parish Office. Communion to the Sick and Elderly is offered on a weekly basis to those people who are unable to participate in the celebration of Sunday Mass. Ministers to the Sick and Elderly are commissioned with consecrated hosts during the Concluding Rites of Mass. If required, ministers can come to the Church to collect consecrated hosts from the tabernacle outside from Mass. If you are able to give assistance in this ministry or are unable to come to Sunday Mass and would like a minister to come and bring you communion, contact the Parish Office. The Friends & Neighbours Anointing Masses are held six times a year at St Joseph’s Church on Wednesday’s at 10am. Dates are in the parish calendar and are advertised in the parish newsletter. During these Masses, the Sacrament of the Anointing of the Sick is available. These Masses are opened to all, with a particular invitation to those parishioners who are new to the parish, are living alone, who have difficulty in coming to Sunday Mass, or are residing in care facilities. Transport is available for those who require it. After each of these Masses, morning tea is provided in the Mall beside the Church. For those requiring transport or able to provide transport, contact Maureen (3375 4483). For other information, contact the Parish Office. ​The Funeral Hospitality group helps to provide and serve refreshments after funerals when requested by the family. If you are able to give assistance in this ministry or for further information, contact the Parish Office. The Pastoral Response Team ministers pastorally to parishioners in times of an emergency when a priest cannot be present. A rostered team member is often the first contact point for parishioners who have a death or sudden serious illness in the family outside the parish office hours when the parish priest is unavailable. The rostered team member holds the pager and all messages are forwarded to her or him for determination of the proper response. This occurs when the priest has a day away from the parish, during his annual leave and any other time his various ministries take him away from the parish. When appropriate, a member of the team will take Communion to the dying and their family and pray with them, reaching out pastorally as a representative of our greater parish family seeking to assist one of its own in time of need. 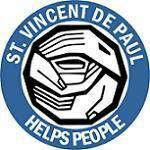 ​Corinda Graceville Parish has two St Vincent de Paul conferences, with one at Corinda and the other at Graceville. The main function of the conferences is to visit the poor, sick and needy in either their homes, hospitals or care facilities to provide assistance and comfort. Conference meetings are usually held on alternative fortnights, which are listed in the parish calendar. The conferences are always seeking more members. If you are able to give assistance or require further information about our conferences, contact the Parish Office.